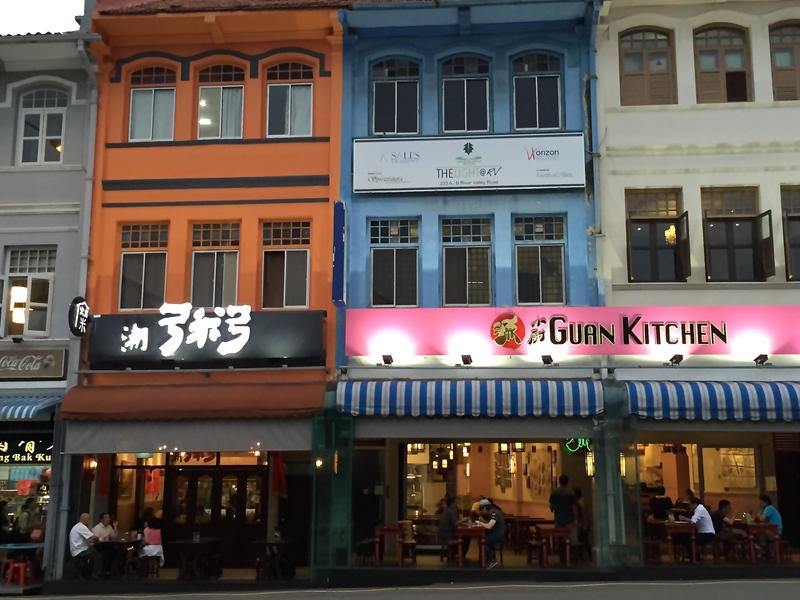 Where can you find comforting supper places when you are hungry in the middle of the night? 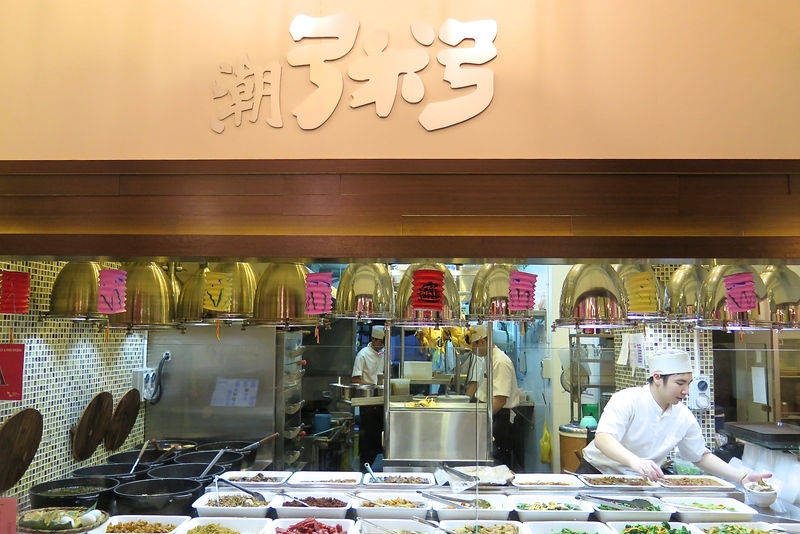 Other than driving through 24-hour Mcdonald’s, or heading down to late night supper spots like Xin Wang Hong Kong Cafe and Spize, you can now enjoy a nostalgic taste of teochew porridge closer to the city centre. Catering to twilight zone cravings, ChaoZhou Porridge (潮粥) is open everyday from 10:30am until the next day morning 5am, located conveniently on River Valley Road just a stone throw away from Mohamed Sultan Road. 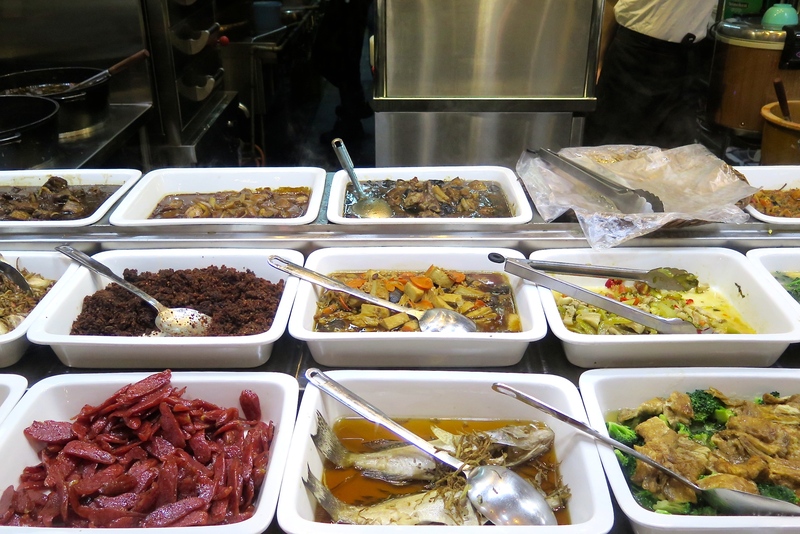 What I like most about this casual eatery is the cleanliness of the restaurant and the wide variety of dishes being served. 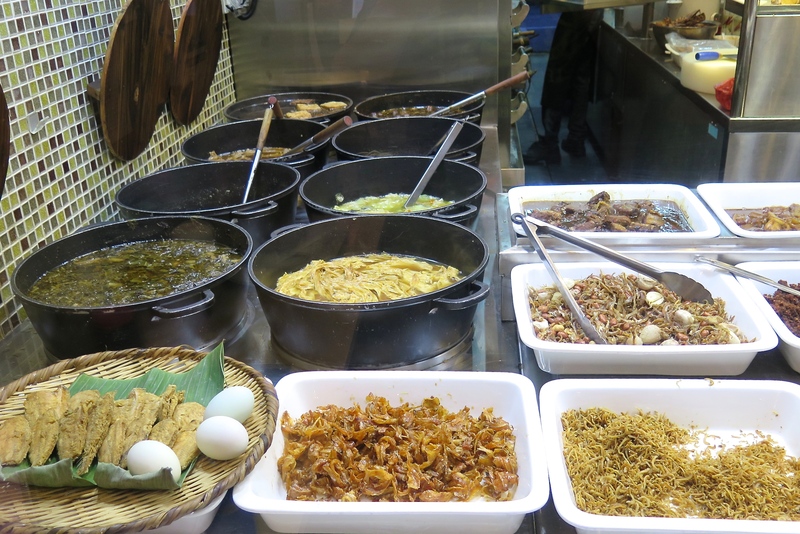 A mouth-watering selection of over 30 dishes were arranged neatly, directing all the customers’ attention to the dishes. 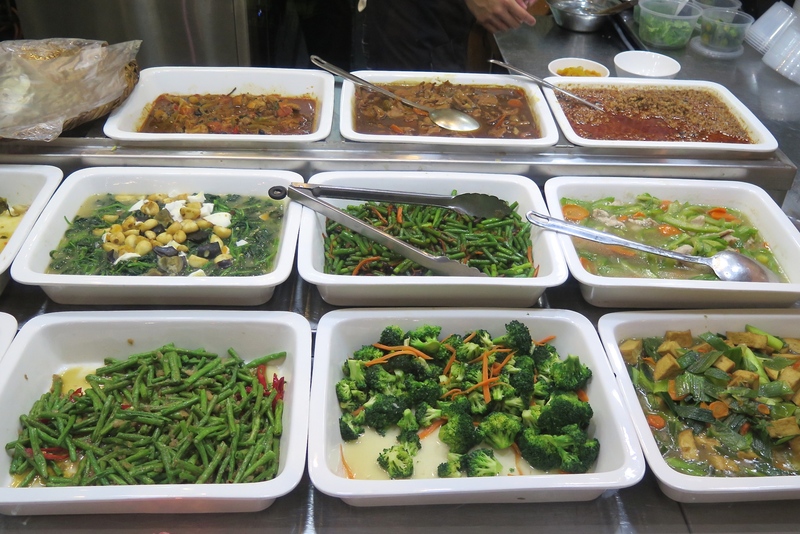 Diners can also select various types of dishes from the menu – ranging from cold dish, steamed dish, braised dish, deep-fried, boiled vegetables and including signature favourites from the chef’s recommendation. Menu prices are indicated clearly for every dish, so there’s nothing to dismay when settling the bill. Follow the path to the past and uncover an old forgotten recipe from the Chinese Teochew. 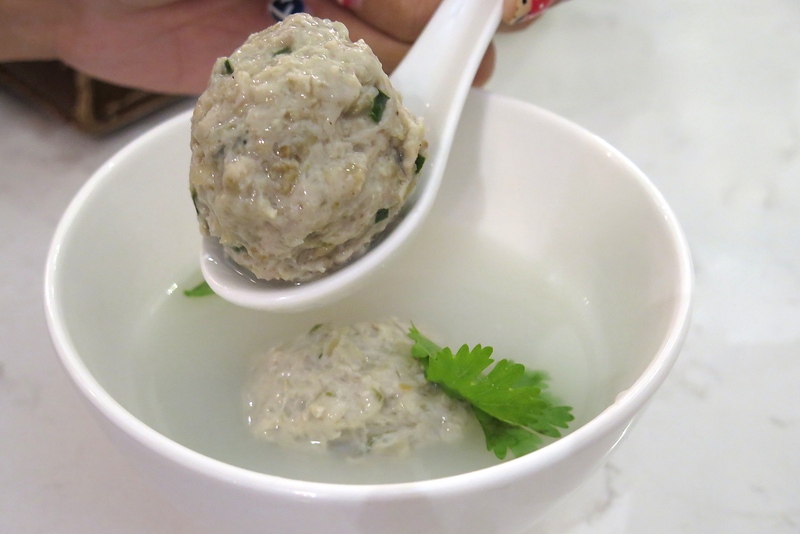 The dish name in Chinese “入鄉隨俗” signifies the unity of different cultures – combining different ingredients such as pork and vegetables into a meat ball and served with porridge water ($5.50). 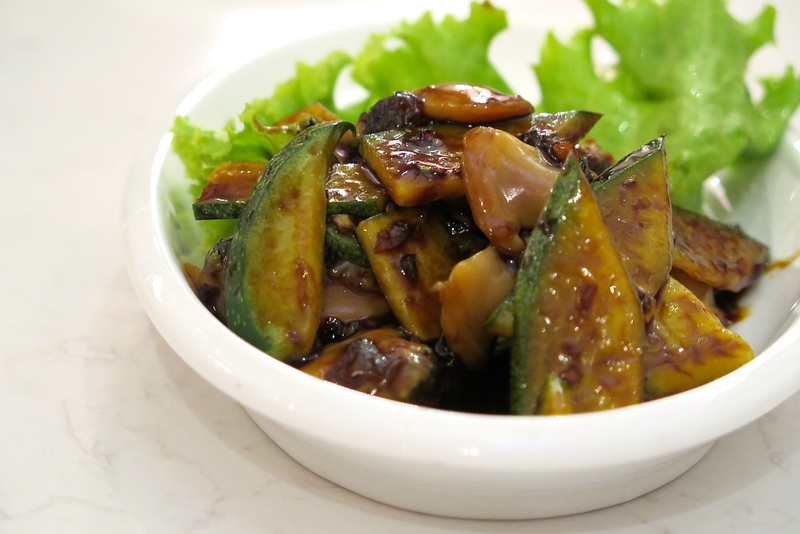 Start your meal with an appetising cold dish – Big Sotong ($6.90) featuring a tender pillowy squid steamed and then chilled, served with a homemade spicy, sweet and sour sauce; or try the Clams in Soy Sauce ($6.90). 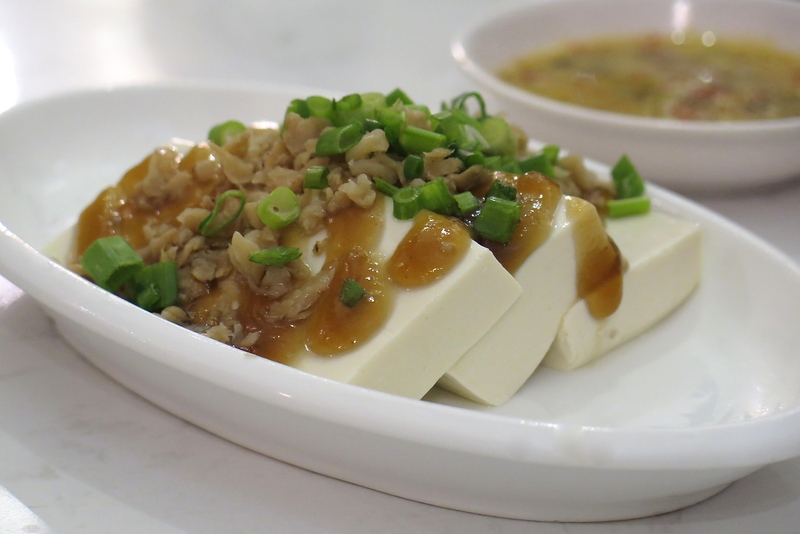 Those who love preserved radish (Cai Poh 菜脯) would enjoy the other cold dish, which is Chilled Bean Curd ($4.80) topped with preserved radish. 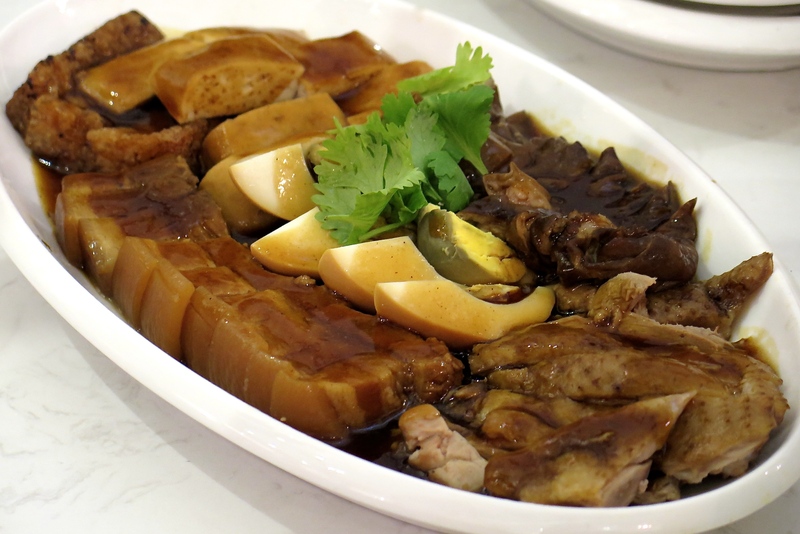 Endless plates of Braised Delight ($16.90) will be seen at most customer’s tables, comprising the signature ChaoZhou braised duck, pork belly, large intestines, egg, bean curd and taupok, which goes well with a comforting bowl of ChaoZhou Porridge ($0.70). Die-heart fish lovers will know their fish well and eat them steamed. The Mullet Fish (seasonal price) has a strong flavour because it digest out the goodness in the microscopic livings in the mud. 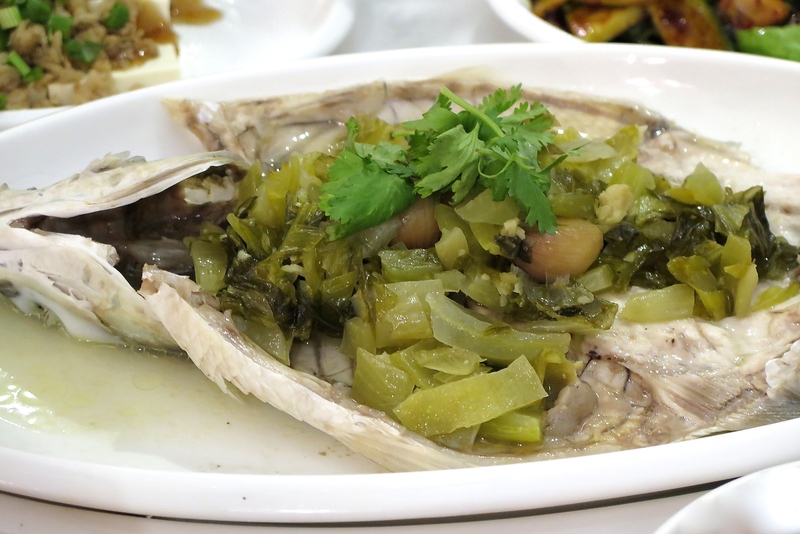 The restaurant have chosen this typical sea fish as its signature dish for its meatiness. I’m not a big fan of this dish, however mullet fish lovers will know how to appreciate this delicacy. 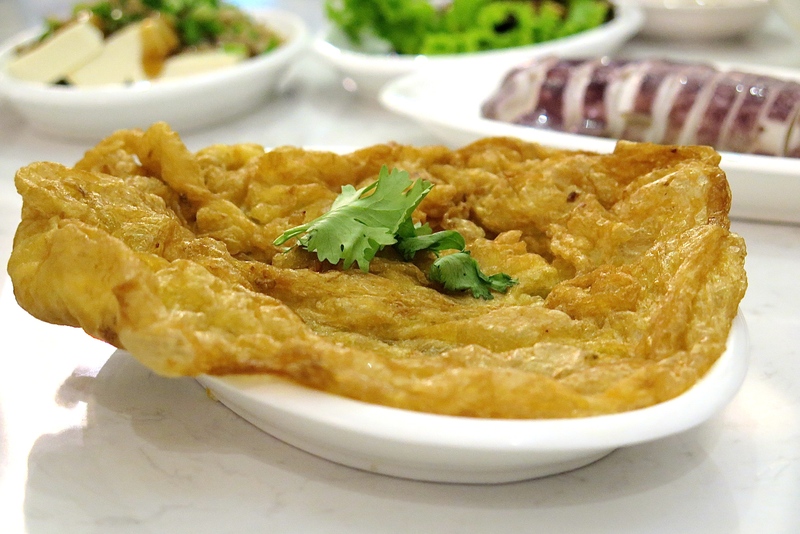 Fried Omelette with preserved radish ($2.50 – $4.50) can never go wrong at the ChaoZhou porridge place, and I wouldn’t mind if they can be more generous with the cai poh. Another favourite dish to have is the Fragrant Minced Meat ($4.20 – $8.20), I can express a self-love simply because I could finish the whole bowl by myself. 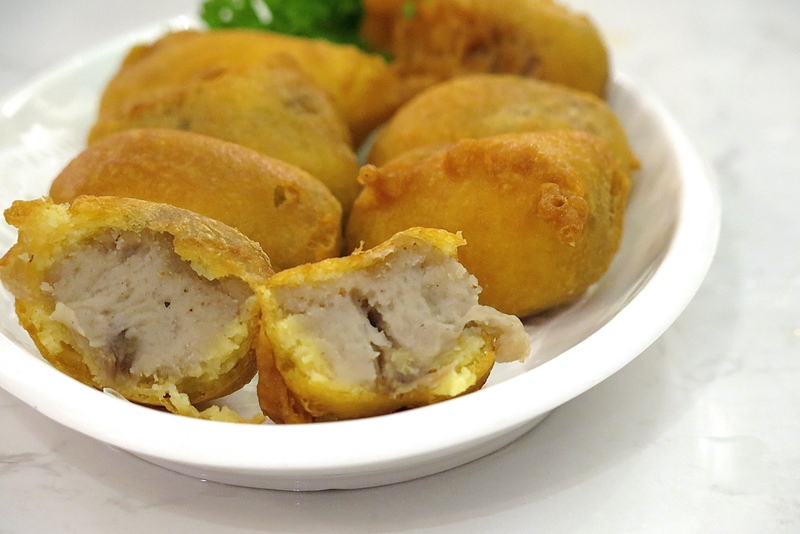 Crisp-fried Taro Rolls ($2.30 each / min order 3 pieces) – You have to eat these golden nuggets very slowly, making each bite intentional and deliberate, as these taro rolls doesn’t comes cheap for its size. But to every taro lover out there, no one can ever say no to these tasty treats.